Discover How Dental Implants in Rowlett Can Improve Your Smile! Technology has greatly improved for different restoration and teeth replacement methods. In the past, patients experiencing tooth loss would have to rely on dentures – an uncomfortable and sometimes embarrassing appliance capable of creating a full smile. As technology has improved, so has the amount of options available for replacing teeth. Dental implants have become the most effective solution for filling in missing teeth, and Dr. Barry Butler offers affordable implant dentistry in his Rowlett, TX office. Dental implants are surgically placed into the jaw bone and attached to an acrylic replacement crown. As the implants situate into the jaw bone, the natural tissues within the jaw begin to attach to the implants, creating additional support and durability. Dental implants can replace both single and multiple missing teeth, but require no reshaping of existing teeth. Implants are also made to match the color of natural tooth enamel and create a smile that is natural-looking and long-lasting. 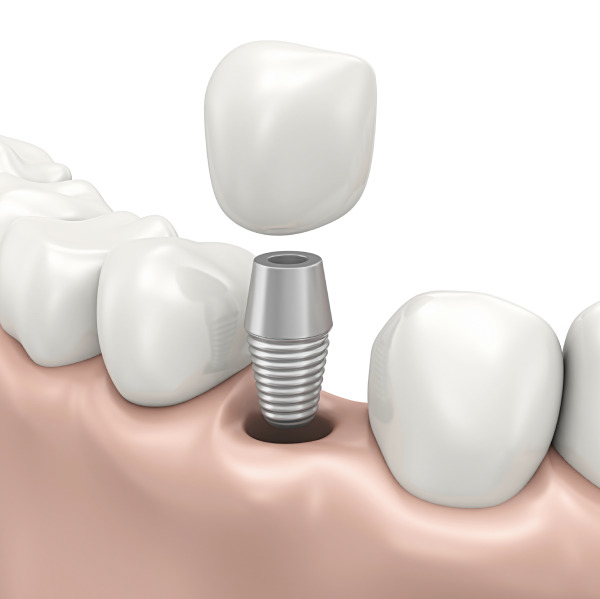 As a prosthetic replacement for teeth, dental implants create a permanent and healthy smile. Dental implants look and feel like natural teeth and require the same oral care. For additional information about dental implants in Rowlett, TX call us today. When you come in for your one-on-one consultation, Dr. Butler will assess your medical history and jaw bone health to determine whether dental implants are right for you. Dr. Butler will work with you to discuss your treatment goals and take digital x-rays and impressions of your jaw to prepare you for implant placement. A specific treatment plan will be created accordingly, with an end result of a natural appearance and brand new smile. For more information or to find out whether dental implants are right for you, call Dr. Barry Butler and schedule a consultation today!